KOLKATA, India (Reuters): West Bengal Chief Minister Mamata Banerjee ended a nearly 48-hour street protest against Prime Minister Narendra Modi on Tuesday, saying she would mount a national campaign to oust his ruling Hindu nationalists. Banerjee is rallying regional parties and the main opposition Congress to forge an alliance to beat Modi in elections expected in the next couple of months. On Sunday night, she started a sit-in in central Kolkata, after the police stepped up an investigation into Ponzi schemes in the state that defrauded thousands of small investors, a probe Banerjee says was ordered by Modi to undermine her administration. Modi’s government has denied any wrongdoing and said West Bengal authorities had obstructed investigators and even briefly detained them. On Tuesday hundreds of supporters cheered as Banerjee announced the end of the protest. “This dharna (protest) is a victory for the people, victory for the country, victory for the democracy, victory for the constitution. So let us finish it today,” said Banerjee, who leads the All India Trinamool Congress (TMC) regional party. 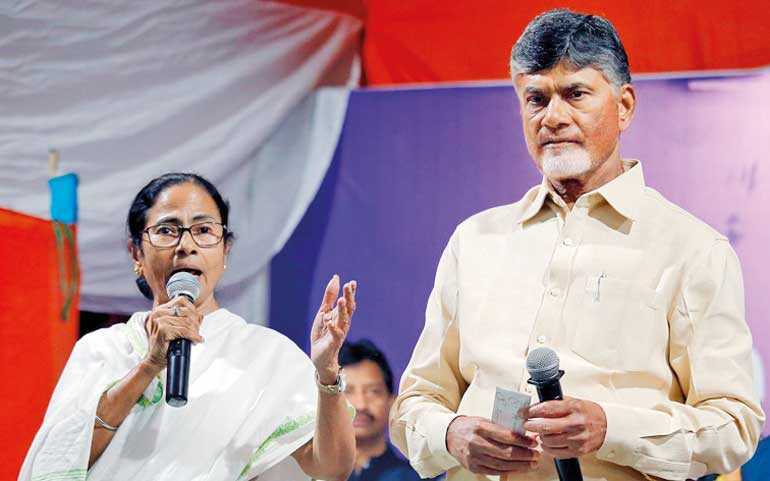 Some opposition leaders including the chief minister of Andhra Pradesh state, N. Chandrababu Naidu, visited her to express support while others said they backed her campaign against Modi. Elections are due by May and polls suggest Modi’s Bharatiya Janata Party is in a tight race against the Congress and regional parties. West Bengal, which sends the third largest number of legislators to the Lok Sabha, has become a battleground state as the BJP looks to make in-roads in the east to make up for any losses in its northern heartland. The Supreme Court earlier on Tuesday asked the state police to co-operate in the federal investigation into the fraud schemes. “TMC is afraid of the growing influence of the BJP in West Bengal and thus is trying to create a hype through this protest,” said Dilip Ghosh, state chief of the BJP.